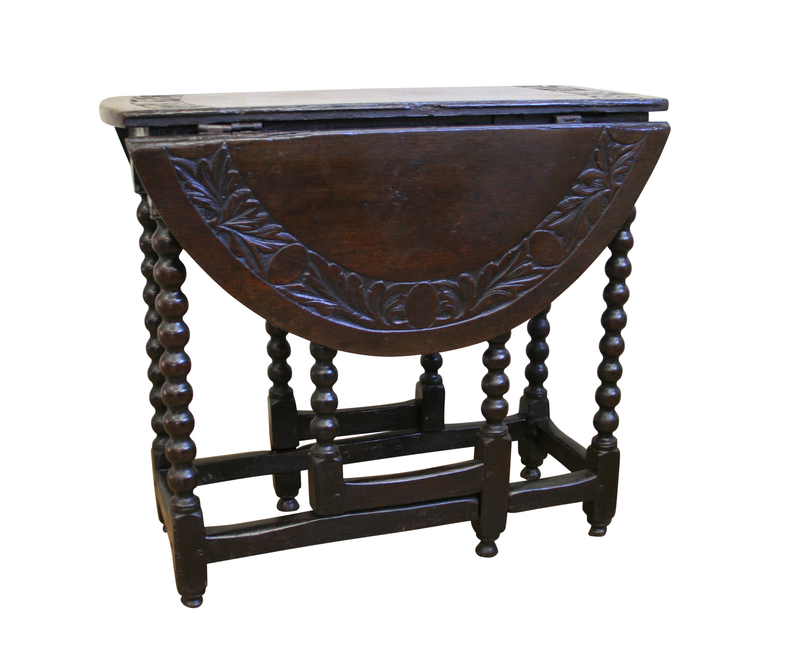 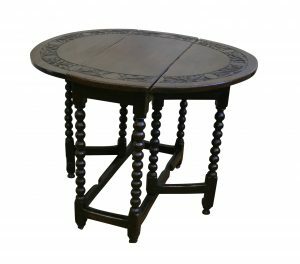 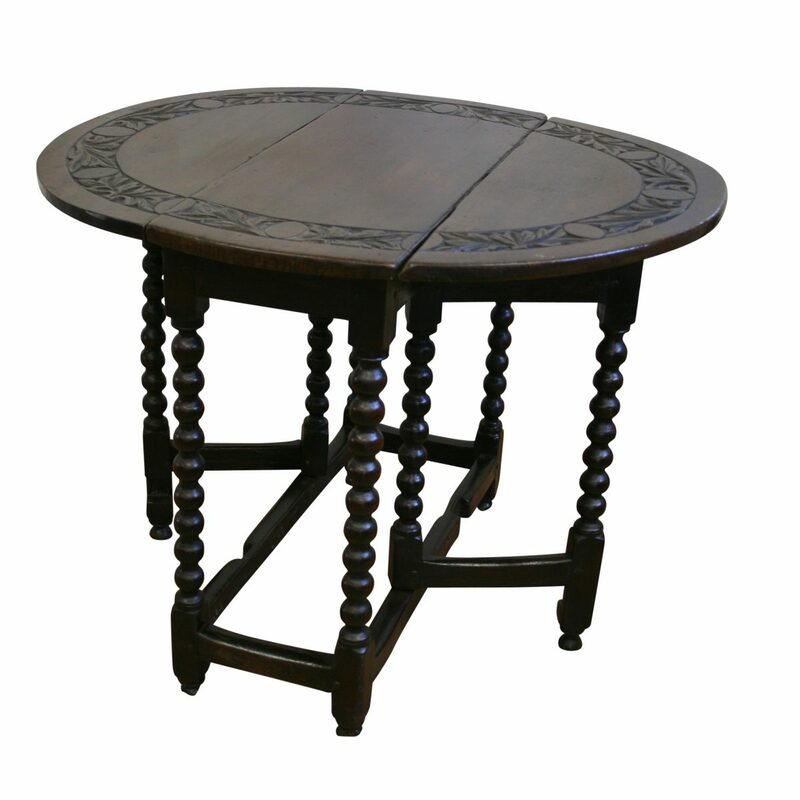 A William and Mary period oak gate-leg table. 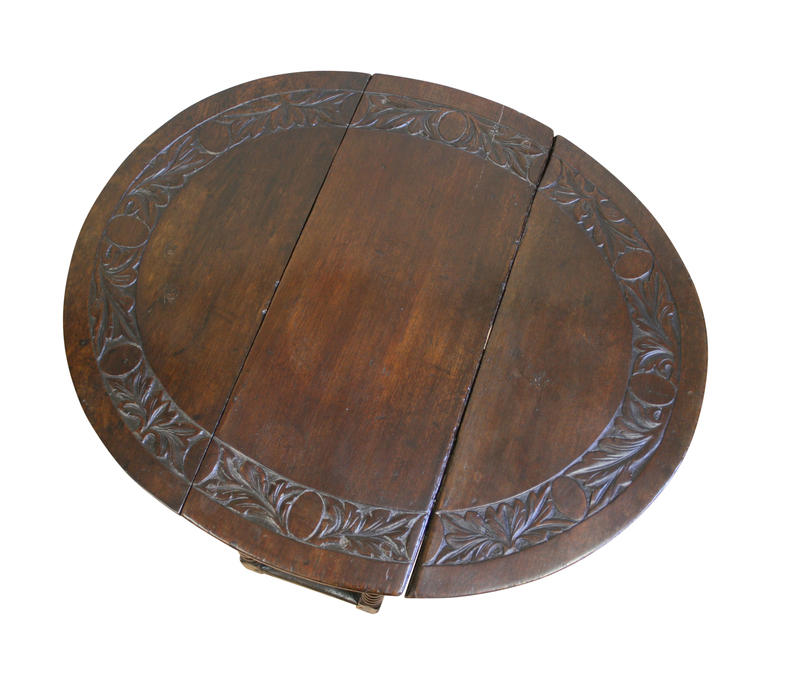 The oval top, with a later carved wreath decoration is supported by the bobble turned legs. 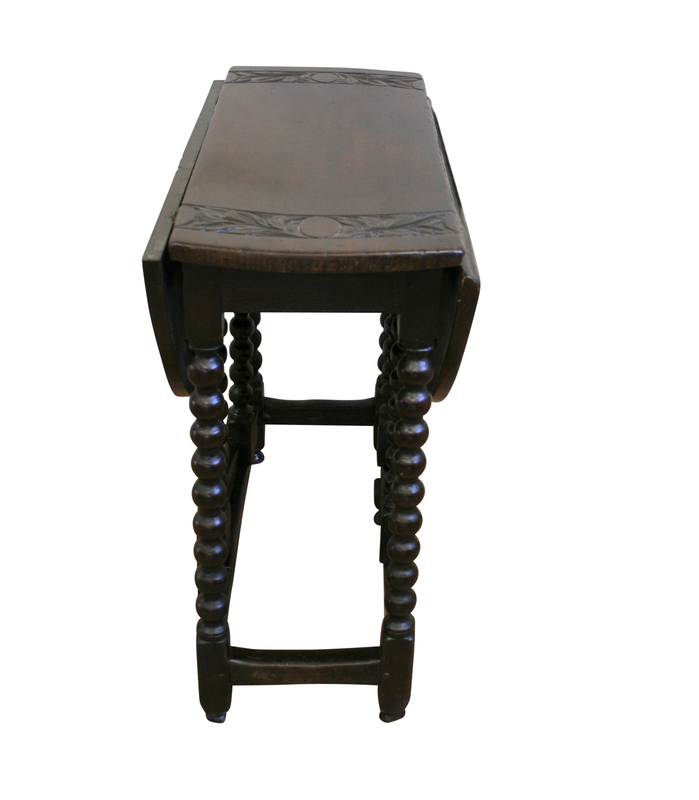 The legs are united by stretcher rails.